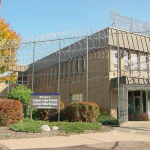 Alderwoman Milele A. Coggs and Alderman Russell W. Stamper, II invite community members to apply for the Alert Neighbor Program by June 14, 2019. 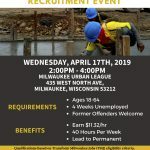 Learn more about the general labor and construction job opportunities with the City of Milwaukee at this recruitment event. 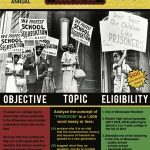 Alderwoman Milele A. Coggs is challenging recent Milwaukee high school graduates to analyze the concept of “freedom” for the 11th Annual Freedom Essay Scholarship Contest. Alderwoman Milele A. Coggs and Alderman Khalif J. Rainey are asking for residents’ help in collecting donations for the It Takes a Village: Community Baby Shower & Resource Fair. The City of Milwaukee Department of Public Works (DPW) continues its overnight snow clearing operation for the entire city on Tuesday, Feb. 19. February is Black History Month, and Alderwoman Milele A. Coggs invites parents and children to attend the Black History Month Read-In at Martin Luther King Library, 310 W. Locust St. TOMORROW – Wednesday, February 13th from 5:30 to 6:30 p.m. 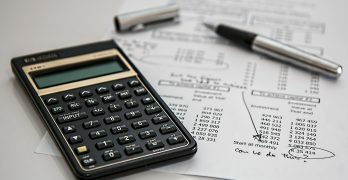 The Common Council approved a resolution on Tuesday, February 5 directing the Commissioner of the Department of City Development (DCD) to partner with the Department of Neighborhood Services (DNS), Milwaukee Police Department (MPD), and the Office of Violence Prevention to establish a maintenance and security plan for reducing the impact of vacant City-owned homes on neighborhood crime rates. Event to be held Saturday at Dr. Martin Luther King, Jr. Elementary School. A neighborhood block club, residents and a church were honored during last week’s 6th District town hall meeting (held Thursday, January 17th) by Alderwoman Milele A. Coggs for making the district a great place in which to live, and each was presented with a 2018 Dr. James G. White 6th District Difference Makers Award. 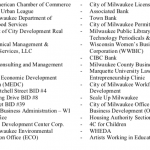 The Common Council approved two resolutions on Jan. 14, 2019 directing the Milwaukee Health Department to put processes in place concerning addressing elevated blood-lead levels, and also developing a plan to distribute water filters to residents at risk for exposure to lead in their drinking and cooking water.